Wrexham.com has been following the story of what should have been a fun £99 three day coach holiday organised by Wrexham based Links Tours from Wales to Disneyland Paris turned into a disastrous nightmare for the holiday makers. An Essex based wholesaler has said they are taking legal action to recover £10,000 they claim is owed to them by Wrexham based Links Tours after a disastrous coach trip to Disneyland Paris. Earlier this week a coach load of families were hoping for a 3 day trip to Disneyland Paris – however due to issues that are being blamed on Wrexham coach provider Links Tours – no hotels or entry tickets were available on arrival. The coach party thought they had been booked by Links Tours into the 4* Sequoia Lodge at Disneyland Paris, however after a sixteen hour coach trip were told there were no bookings, and ended up having to secure a last minute booking at a hotel around ten miles away. The next day when arriving at the theme park they were then told there were no tickets booked for them for entry, despite paying Links Tours for the booking. Links Tours also replied to various one star reviews overnight Wednesday, however by this Thursday morning comments and the reviews had been removed from their Facebook page, despite assurances that such feedback would not be subject to removal. Another review, again a single star, accused Links Tours of ‘lies’. The company replied calling the information stated about a supplier not being paid as ‘fake information’. Wrexham.com asked ICT – Independent Coach Travel, a wholesale travel provider – on Tuesday evening for their view of the situation, who today told us: “We are delighted to advise that the above trip, which was to be aborted on Tuesday 25th due to financial irregularities involving the tour operator, was able to be rescued at the eleventh hour by ICT. ICT are members of the Coach Tourism Council and are founder members of the British Association of Wholesale Tour Agents. They have been providing wholesale group packages to Disneyland Paris since 1992 when the park opened. 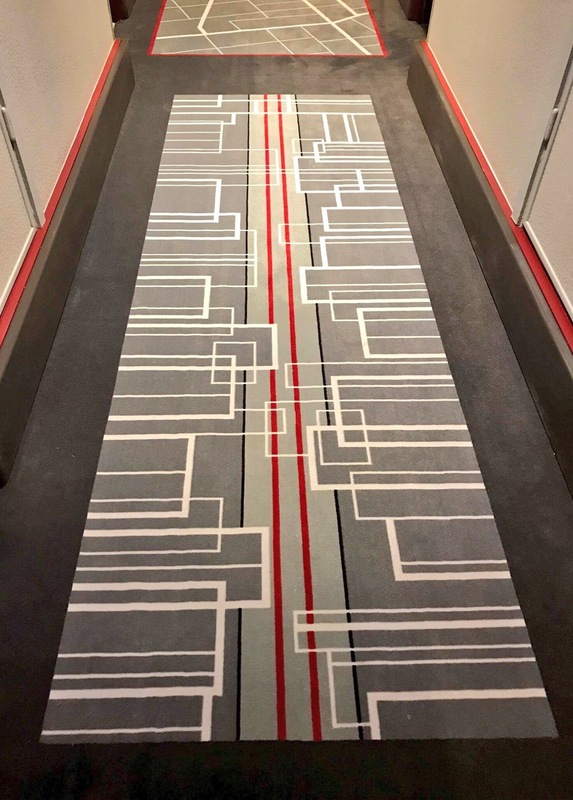 Yesterday a coach arrived back in Wrexham via sub contractors Amans Travel from Walsall, who say they themselves are owed over £2000 by Links Tours – and magnanimously provided transport back from France as they could not leave the party behind to ‘fend for themselves’. This morning Links Tours Facebook page (viewable here) had a new statement noting ‘here at Links we are continuing to grow and we would like to invite anyone with concerns to contact us’, with various further replies to mainly critical public comments. Wrexham Council have said they have been informed of the issue with Cllr Hugh Jones, Lead Member for Communities, Partnerships, Public Protection and Community Safety, initially referring to an unknown earlier complaint: “We looked at the initial complaint made in March, and further information was sought from the consumer. There are two entities called Links Tours on Companies House with similar former and current directors, with Links Tours and Travel Ltd being subject to a notice for compulsory strike-off as of May 30th 2017. Links Tours Ltd is a company formed a year ago today, and is the one stated on the sign outside Grosvenor Road above. Over the last 72 hours there has been a flurry of filing activity with two new company appointments of David Jackson as director and Margaret Jackson as company secretary. Christopher Jackson has ceased as a director. There is a further document dated yesterday registering that Christopher Jackson has been replaced by David Jackson as an individual with significant control of the company. Disneyland under fire for forcing Cast Members to live on the street. As Disney fans world wide were following the events at the D23 Expo last week held at Anaheim convention center, The Guardian published the below article on how Disneyland’s low wages are contributing to homelessness in Anaheim by forcing many Cast Members to sleep in their cars. A woman dressed as the Little Mermaid walked past a sign that read: “Ariel can’t afford to live on land!” A young girl stared at bright-pink posters proclaiming “Disneyland pays poverty wages” and “No home for Cinderella in Anaheim”. During a day of protest on Friday, tourists and Disney fans in the streets surrounding Disneyland were confronted with activists condemning working conditions at the Los Angeles-area resort. The place that prides itself on being “the happiest place on earth” is, in their view, anything but for employees struggling with homelessness and low pay. Occasionally, there are consequences of the most tragic kind. Amid an unprecedented regional homelessness crisis, there are almost 4,800 people experiencing homelessness in Orange County, where Anaheim is located, on any given night. More than half can be found on the streets or in other places unfit for habitation. It is unclear exactly how many are Disney employees, but it should perhaps come as no surprise that some face challenges. The largest employer in Orange County, Disneyland is located in one of the most expensive metro housing markets in the US. According to the Orange County office of care coordination, the hourly wage needed to afford a median-priced, one-bedroom unit in Orange County last year was $25.46, complementing nationwide data suggesting that it is virtually impossible for those earning minimum wage, or near it, to find an affordable place to live anywhere in the country. Protesters and Disney employees cited wages at the park in the low teens. Like many of her coworkers, she said, she commutes from a more affordable city nearby. She says that more than half her coworkers work two to three jobs to make ends meet. Eve Garrow, a policy analyst at the ACLU of Southern California who attended the protest, disputes this. “Disneyland is nowhere in the picture” when it comes to solutions for homelessness, she said. Last Friday’s Disneyland protests began in the morning outside D23, an exposition for Disney fans at the Anaheim convention center. Adults dressed in Disney costumes sweated under the bright California sun as they waited to enter, and glanced awkwardly at Robbins and the handful of homeless housing activists waving posters. In the evening, as fireworks burst above the Sleeping Beauty Castle, about 40 activists stationed themselves in the path of sunburned tourists streaming out of the gates. The experiences of homeless Disney employees vary. One homeless couple began working at Disneyland several years ago after moving from the midwest. They found themselves inhabiting their car after leaving what they described as an unhealthy living situation, and now must get by on a single income after one of them was forced to stop working because of a traffic accident. When a reporter approached the lot, which was bustling with cars and shuttle buses even at 11.30pm on Friday, a security guard barred entry. On occasion, homelessness among Disney employees leads to heartbreaking outcomes. In December, a worker at Disney put out a message on social media seeking information on Yeweinishet Mesfin, a 61-year-old custodian who had gone missing. According to police, Mesfin was found several days after a missing person’s report was filed. Her body was in her car outside the gym where she showered. An old acquaintance of Mesfin’s who now lives in Chicago, Lula Negussie, said she knew Mesfin affectionately as “Weyni”. Late last year, Negussie received a call from Mesfin’s boss, who said she “had never missed work, she had never been late, they were worried, they went to her old apartment, she doesn’t live there any more. They couldn’t find her”. 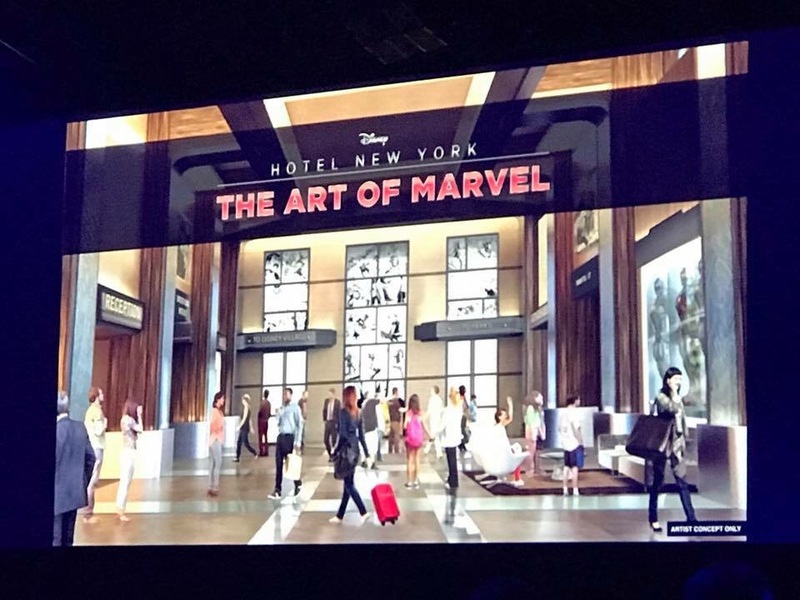 The rumoured Marvel re-theme of Disney’s Hotel New York was officially confirmed by Disney Parks and Resorts Chairman, Bob Chapekat at this weekends D23 Expo in Anaheim. 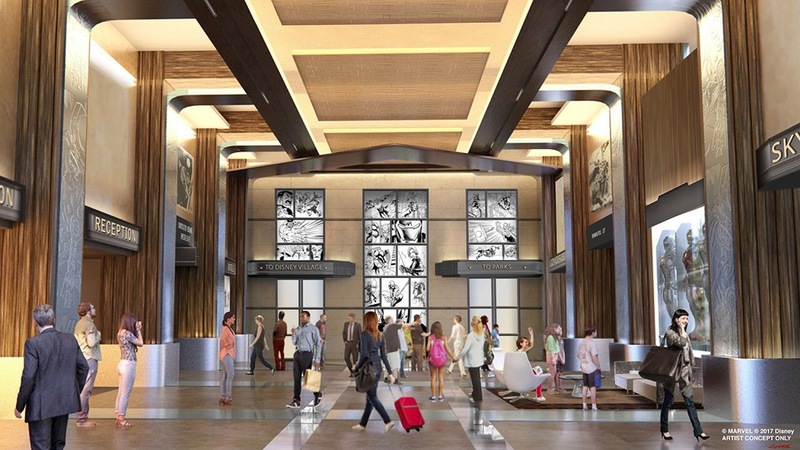 The details of the refurbishment were originally mentioned in the Cash Tender Offer documents published earlier this year by The Walt Disney Company, as part of their takeover bid for Disneyland Paris which quoted part of Euro Disney’s 10 year business plan for the resort. 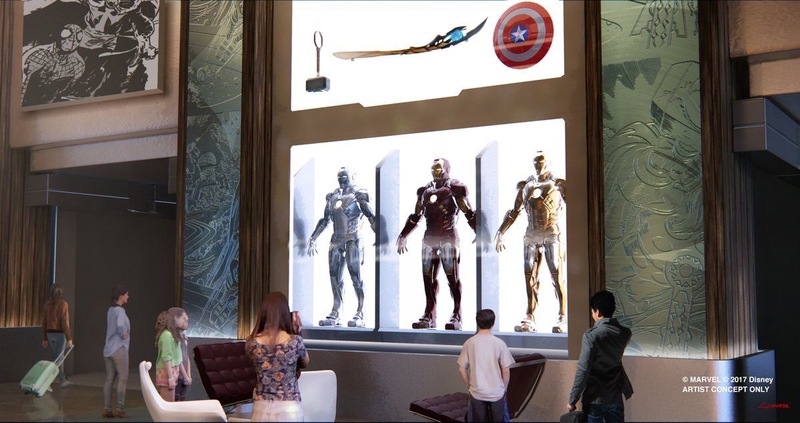 A Marvel themed test corridor has already been created in Disney’s Hotel New York prior to today’s announcement and our friends at ED92 published these photographs last month of what the internal decor of the hotel could look like in the future. 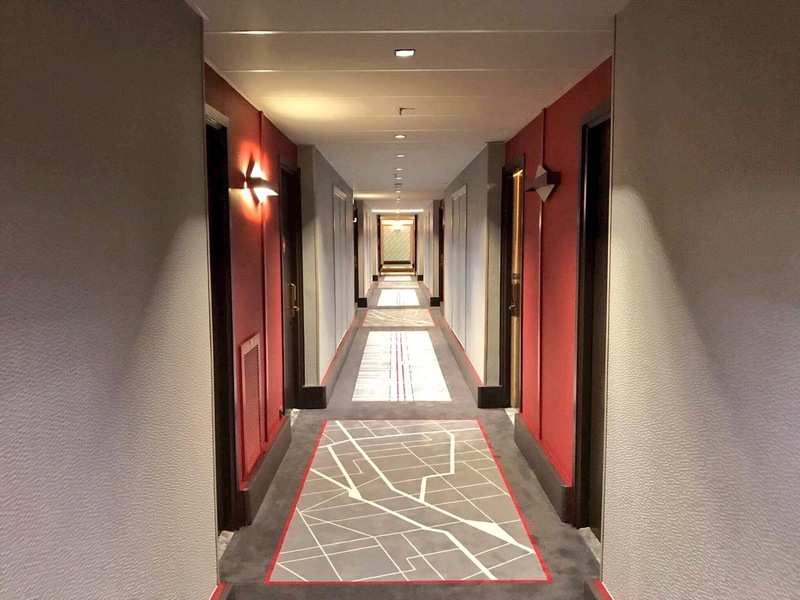 No official date has been announced by Disneyland Paris for the start of the hotels closure and refurbishment, but it was initially rumoured that the hotel would be closed to guests from 30 September 2018 for two years to allow the refurbishment work to be completed, but in e-mails seen by the Salon Mickey Blog from a U.K. based travel agency it has since transpired that the reImagination of Hotel New York will now commence some time in 2019. Here is what the official Disney Parks Blog published about the refurbishment. A woman who was burned when her clothes caught fire in a Disneyland Paris restaurant says she was told it was “no different to falling off a bike”. Erica Osbourne, 37, claims it happened when a chef used a blow torch on a dessert. She lost part of her hair and eyebrows in the incident in February. She said “a massive fireball came across the counter towards me” as the crème brûlée sugar was lit. 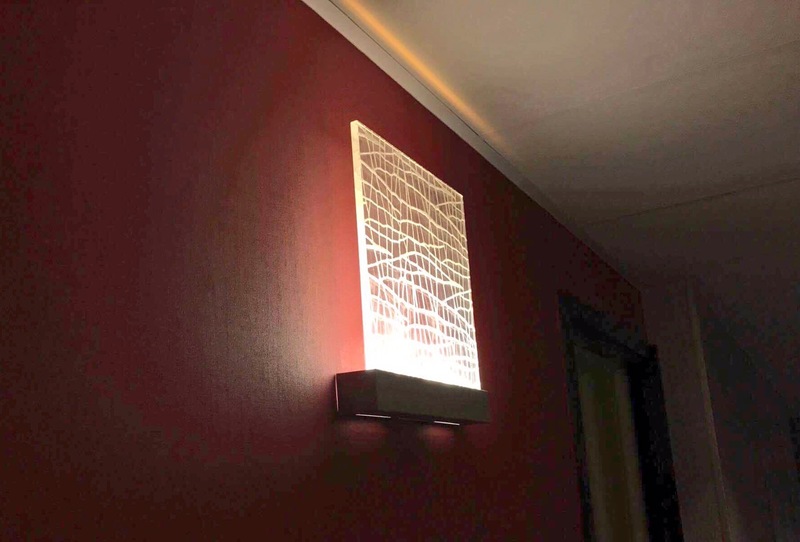 Disneyland Paris said guest safety “is our number one priority”. Mrs Osbourne, from Bristol, said she suffered second degree burns when her jumper caught fire as a chef used the torch on the dessert. She said the flames narrowly missed her 10-year-old daughter, Abigail, at Disney’s Newport Bay Club Hotel. “I had ordered the crème brûlée and Abigail had gone to get an ice cream when the chef lit the sugar and a massive fireball came across the counter towards me. “I was so terrified that I froze to the spot but I remember an intense heat on my face. She said a chef jumped over the counter and he and another customer “bundled me to the ground and rolled me around to put out the flames”. “Immediately after I was burnt one of the managers said to me that the incident was ‘no different to falling off a bike’. I couldn’t believe it.” she added. Mrs Osbourne was treated by paramedics and spent several hours in hospital. She is now taking legal action against Disneyland Paris for personal injury. “Incidents of this type are extremely rare,” a spokesman for the attraction said.